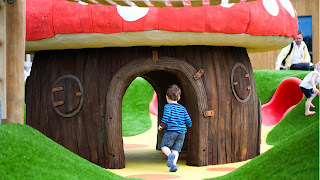 mrsrachelokelly: 5 Half Term Activities in and around Chester! 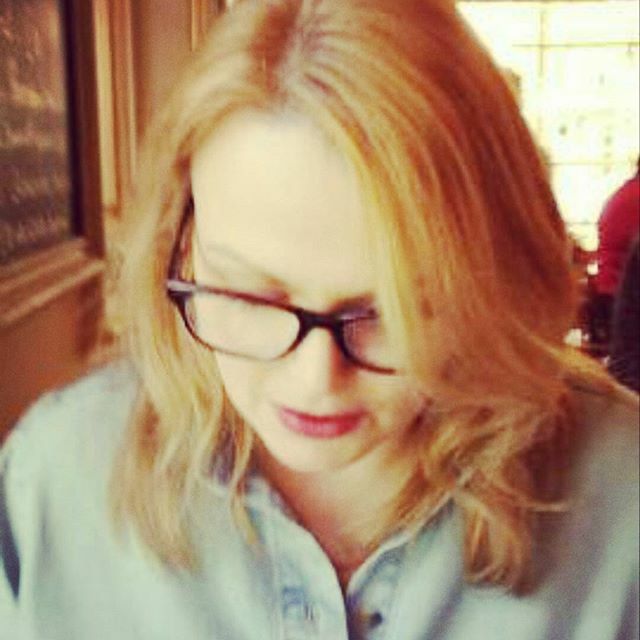 Wife to Mr O, mum, frustrated writer and coffee addict. Blogging on parenting, life, love and everything in between, because it's cheaper than therapy. 5 Half Term Activities in and around Chester! Half term is almost upon us, and I don't know about anybody else but it definitely feels like it's snuck up on me. As much as Seren will enjoy nothing more than a few days of sofa slothing, and YouTube (and me too to be honest) I do find I need to plot in a few things for us to do, to avoid us both going stir crazy. We won’t be going away, and Mr O only has a couple of days off, so I want to find a few things for us to do that aren’t on our usual list of ‘go to’ activities. A) won't break the bank and B) won’t lead us into the merry hell of soft play. 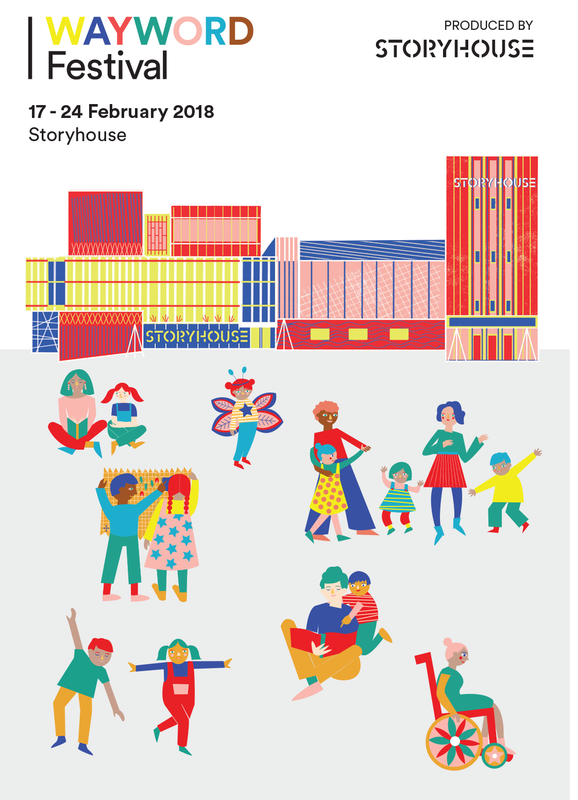 From Monday the 19th of February to Friday the 23rd, Storyhouse will be screening some family favourite short films every afternoon starting at 4pm. The films are being shown, on the large screen in the stunning art deco foyer, and tickets are priced at a very reasonable £5. The price includes a snack bag for the kids, a hot drink for the adults and a set of headphones to listen to the movie. Or, the adults, could always use the headphones to drown out the film and read a book instead? The list of films can be found by following the link below, note that on Thursday the 22nd the film is a full feature length of the Lego Batman Movie. Storyhouse are hosting lots of fun activities for kids this half term as part of the WayWord festival, including workshops, performances and even a talk with children’s illustrator Axel Scheffler! 2. Yo Sushi. Sushi school for kids. 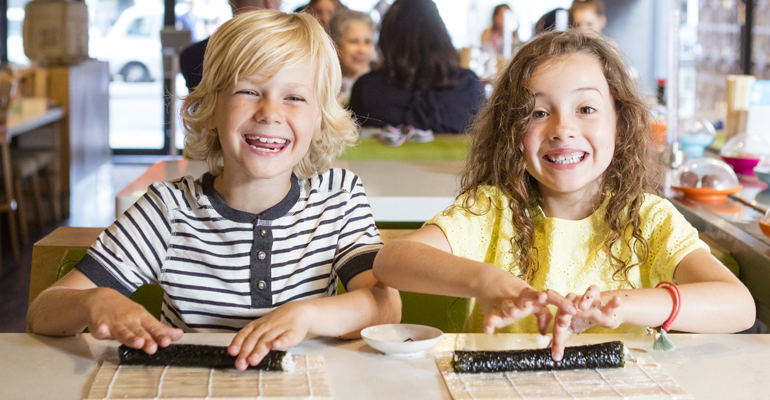 Yo Sushi are hosting a fun filled one-hour class called ‘Mini Ninjas’. Led by experienced chefs, kids will learn how to make three kinds of sushi, all whilst learning some fun facts along the way. The class is aimed at 5 to 12 year olds, and at the end of each lesson, not only will they be able to roll sushi like a pro, they’ll also receive their very own ‘Mini ninja’ certificate. Both the Chester and Cheshire Oaks restaurants are holding classes, each class costs £15 per child and parents will be required to stay. To book a place click on the link below. Whilst I know it is entirely possible to spend a small fortune in here, and I have, trust me. Sometimes, if the weather is just right you CAN spend an hour or so just petting the animals, and playing in the play area, and all for nothing more than the cost of an ice cream. Again, just to reiterate, in case anyone from the ice-cream farm is reading this, I repeat I have also spent a fortune on crazy golf, and in Honeycomb canyon. Where, being unable to rid your kids socks from sand and water, is ALWAYS fun. Anyway, as an added bonus for younger kids during half term, and to celebrate the launch of Ty toys, which will be sold in the gift shop, Ty characters Beanie Boo and Coconut Monkey will be in and around Daisy’s Garden to meet the little ones and pose for photos. It’s more likely for me to see an Oasis reunion, than get Seren to pose with one of them. but if you’ve younger kids? I’m sure they’ll love it! As wonderful as Storyhouse is of course, we can’t forget our fabulous Tip Top team! Based in the old Gateway theatre, at the back of the Forum shopping centre it produces some great shows, and tickets are very reasonably priced. From February the 21st to the 24th Tip Top will stage the Roald Dahl classic tale ‘The Witches’, adapted for stage by David Wood. Aimed at children aged 7 and over, the tickets cost £11 for adults and £9 per concession. A family ticket costs £37 for 2 adults and 2 children, which I think is great value for money. Performances start at 11 am and 2.30 pm, with two evening performances at 7pm on the Friday and Saturday. 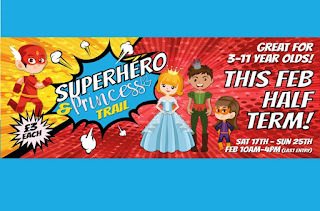 As well as the usual activities, such as go karting, falconry, park, candle making, pottery and soft play…*shudder* Blakemere are also hosting a Superhero and Princesses trail. 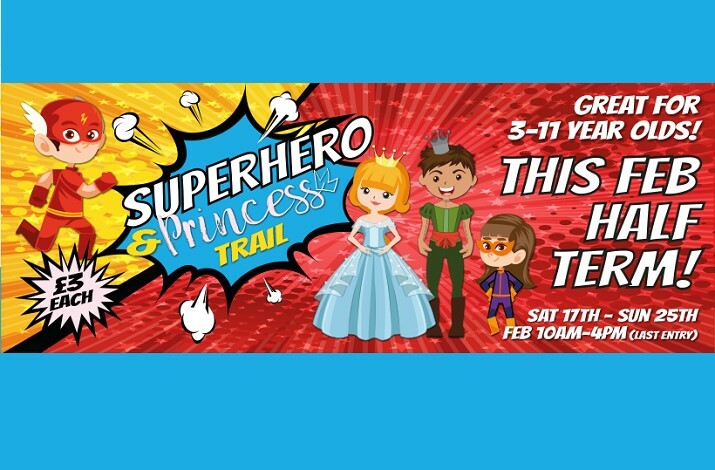 Aimed at 3 to 11 year olds the trail costs £3 to participate in,kids are given a map and clues to navigate the trail and Kids can come dressed as their favourite superhero or princess. For older ones coming along, I can recommend creature features for an opportunity to spend some pocket money on TV and movie memorabilia. More information on what to do at Blakemere can be found here. Looking for something that is completely free? Why not try these in Chester. The Lego Display in Chester Market. 10 Times My Life Needed A Hunger Games GIF This Week..
7 Easy Costumes To Put Together For World Book Day! A Mum who blogs? So that's new! Tis' The Season To Be Jolly! 12 For Anyone Who Works in Retail. At Christmas. Unauthorized use and/or duplication of this material without express and written permission from this site’s author and/or owner is strictly prohibited. Excerpts and links may be used, provided that full and clear credit is given to Mrs Rachel O'Kelly and mrsrachelokelly.blogspot.co.uk with appropriate and specific direction to the original content. You know that I know you've been plagiarising my stuff, throwing the word empowering in there a few times does not make it 'your own' So stop it and come up with your own original content.